Small business market research is a tough game. 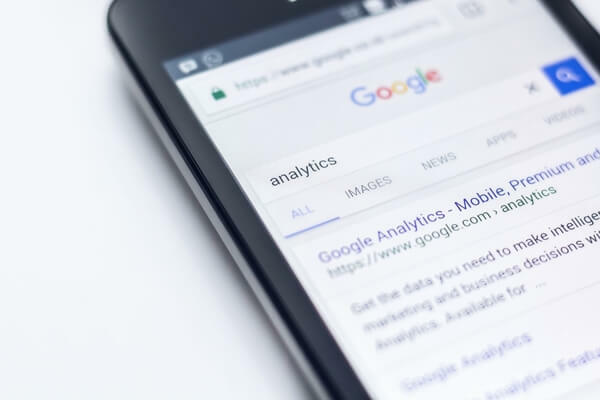 If you Google “how to do market research,” you’ll come across a long list of tactics that are hard to use on a small business budget. Market research surveys and questionnaires, focus groups, competitive intelligence, SWOT analysis, and structured interviews. The list goes on. If you dig further into market research techniques, you could quickly find yourself reading about the difference between qualitative and quantitative research, or even statistical sampling methods. All of those market research techniques have their place. But when you’re wondering how to do market research for small business, you aren’t thinking about complicated statistical models or big budgets. Market research firms sometimes run massive surveys and international focus groups. You might not have a way to reach 100,000 people with a survey, or the resources to set up multiple focus groups. Your market research process might not be able to include a ton of technology or statistics. But there are still small business market research tools that work. Conducting market research for a new business or a small business can require some creativity. But with the right tactics you can do affordable or even free market research that gets you the insights you need for your business. At this point you may be wondering: why do you need market research? Small businesses already have a lot of day-to-day operations to deal with. 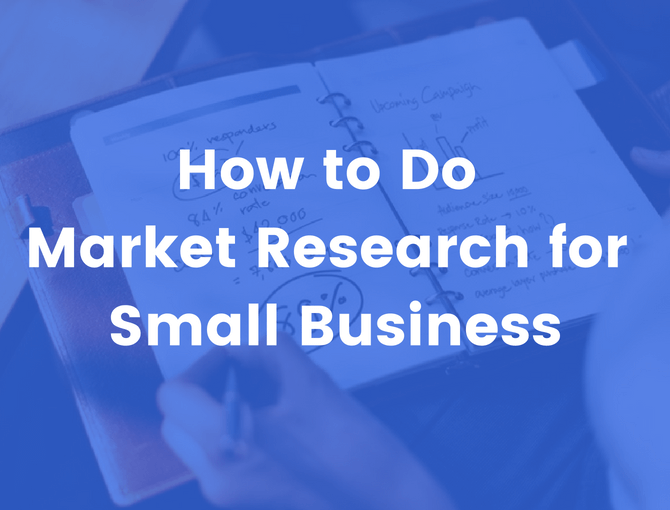 It’s hard to make time to do market research for small business—especially if you also need to learn how to do market research in the first place. But if you don’t periodically check in with your audience, you could be leaving business and revenue on the table without ever knowing. Simply put, effective market research helps you get inside your customers’ heads. When you need to conduct market research on a tight budget, it can be tricky to find the techniques and market research tools that give the best value for the time and cost investment. This article covers how to do market research for small business, using eight of our favorite affordable market research techniques. But once you have it, how do you use it? Put in your email and we'll send you one message a week (with our best marketing advice). Quora is a social media platform based on questions and answers. On Quora, users can submit questions on any topic they like, as well as answer questions related to their expertise. Getting started with Quora is easy: the platform guides you through the process and immediately prompts you to select your areas of interest. Setting up your Quora profile will let you get notified when questions are tagged with the topics you select. That makes it simple way to see what burning questions your audience is asking. And because Quora orders its answers based on voting, you can also see which solutions they think are the most valuable. For that reason, Quora market research can be a great method of collecting information on customer pain points. In market research for small business, free public questions from your audience is hard to beat. If it fits into your marketing plan, you can also consider putting some effort into answering Quora questions. Repurposing your blog posts as part of a Quora marketing strategy can increase their reach and visibility. Reddit bills itself as “the front page of the internet,” and for good reason—Alexa ranks Reddit as the eighth most trafficked website in the world and the fifth most trafficked in the United States. Reddit contains a wide variety of communities, linked content, original content, and memes. But among cat videos and adorable gifs, there are some surprisingly insightful conversations—discussions that are a gold mine for small business market research. Reddit is organized into “subreddits,” which are communities focused on specific topics. Finding subreddits based on your industry is a good way to mine for pain points—and discover your audience’s candid thoughts. Anonymity means that redditors are often willing to share things they wouldn’t normally talk about in person. Reading discussion threads or even asking questions yourself can help you get insights from specific niches. For example, if you run a fitness business and need to know how to do market research, you’ll find that are quite a few opportunities to conduct customer research on reddit. Subreddits like /r/fitness, /r/loseit, /r/gainit, /r/bodybuilding, /r/running, and /r/bodyweightfitness serve different communities, and people often share their successes and struggles. Reddit can also be helpful for tracking down a very narrow segment of a larger population. A subreddit like /r/griptraining is the very definition of niche—but if you run a rock climbing or powerlifting gym it could have valuable insights from your target audience. Navigating Reddit can be a little tricky for new users. But once you figure it out, it’s a powerful tool to do market research for small business. This market research technique is a little bit unusual—but it’s all the more powerful because of how few people think of it. When you need to conduct market research on a tight budget, you need to get creative. Book reviews offer a wealth of information, sometimes incredibly detailed and specific, that few people are taking advantage of. Amazon reviews are public, and you probably have some idea of the most important or popular books in your field. Even if you don’t, Amazon charts are also freely available—it’s easy to find out what people are reading. Once you’ve tracked down some popular books, take a look at the reviews. 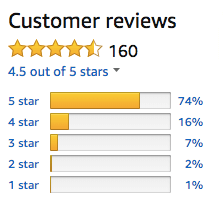 Amazon lets you easily sort reviews by how positive they are and how helpful they are, so you can dive in at whatever point you like. Positive reviews will be helpful because they can help you understand what people are benefiting from. Negative or lukewarm reviews can be even more helpful, because there’s a chance they call out needs or burning pains that the book didn’t answer—which may represent unmet needs your business can take advantage of. When most people think of using a survey to do market research for small business, they think of a massive effort that goes out to thousands and thousands of customers. No, you probably don’t have thousands and thousands of customers that will respond to a survey. And there are some types of survey research that really do require those kinds of numbers. But there are others that don’t. And those are the kind you can focus on as you learn how to do market research for your small business. Setting up surveys that get sent to customers after a sale can help you get a sense of how satisfied they are and what needs led them to make a purchase. Similarly, you can set up surveys that go out to people that didn’t make a purchase. What prevented them from buying? What might have caused them to make a different decision? Even if you only ask those two survey questions, the answers can help you make adjustments for the next time around. As a bonus, this type of small business market research is easy to automate. Setting up automations that trigger based on purchase or lack of purchase is easy to do with marketing automation software. Set up survey questions once, then focus on other parts of your small business while the results come in. Facebook has risen up as one of the major community building platforms for business. Type your industry into Facebook search and you’re bound to find a variety of related groups. Some Facebook groups will be run by other business owners, others are simply people interested in the same topics. Regardless, reading through the conversations and questions asked in Facebook groups can be a valuable source of market research. When you’re using Facebook for market research, you have a few options. Simply reading through existing conversations is a great way to get started. Even though names on Facebook aren’t private, people are often more willing to share their goals or frustrations within a relatively private group. Once you’ve observed for a while and understand a group’s tone and social norms, you can start to participate. Becoming a member of a group and engaging in discussions can be a great way to ask questions and go beyond surface level insights. You wouldn’t do this on another business’s page, and you have to be careful about spamming in general, but Facebook groups can also help you get participants for a market research survey. As you get more comfortable with how to do market research on Facebook, sharing a link to a survey can help you gather quantitative market research data. 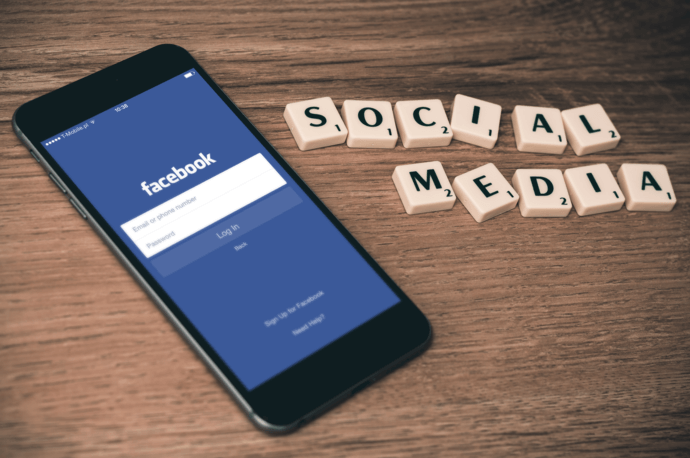 As a free platform with over two billion monthly active users, Facebook can be a powerful way to do market research for small business. Chances are you’re not the only business in your niche. How are the most popular websites in your industry trying to appeal to your audience? How can you tell which content is the most popular or successful? 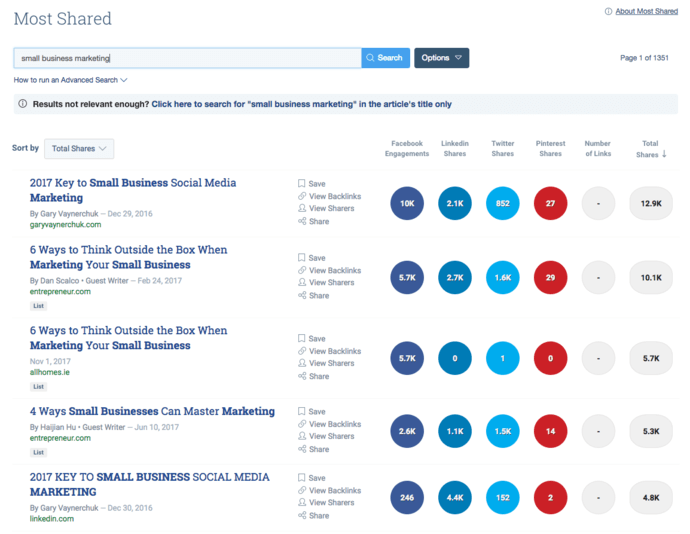 Use a tool like Buzzsumo to find the most shared content on a particular topic. A tool like SEMrush can tell you which content ranks the highest in search engines. Both are good ways to identify potentially high-value topics. Beyond content, look at the other marketing materials your competitors put out. What kind of messaging are they using on their website? How are they creating cross-sell and upsell opportunities? What does their team look like—who’s actually doing their marketing? As you grow your business, this kind of information becomes more useful. There’s no guarantee that your competitors are doing everything the best way—but seeing how they are managing their business can spark ideas to improve your own. To do this kind of research, collect all of the info your competitors make publicly available. Comb through their website and about page, download flyers and brochures, and check out the events they attend. Make absolutely sure you get on their email list, so you can see what kind of messages they like to send. It’s worth taking competitor research with a grain of salt. Again, there’s no guarantee that competitors have done the level of customer research you’re looking for. Still, looking at competitor messaging is a useful way to infer the features and benefits that matter to your audience. Competitor research isn’t a substitute for contacting your audience directly, but it can be a good starting point to figure out what kind of content is popular in your niche. It’s one thing to know what customers say they want. In any industry, professionals know that customers don’t always know how to solve their problems. Sometimes there’s a better question to ask for market research. Tracking behavior on your website or engagement with your emails and messages is a great way to see which of your marketing efforts are most popular—and can help you adjust your marketing in the future. Google Analytics is one powerful tool that can show you exactly how people engage with your website. 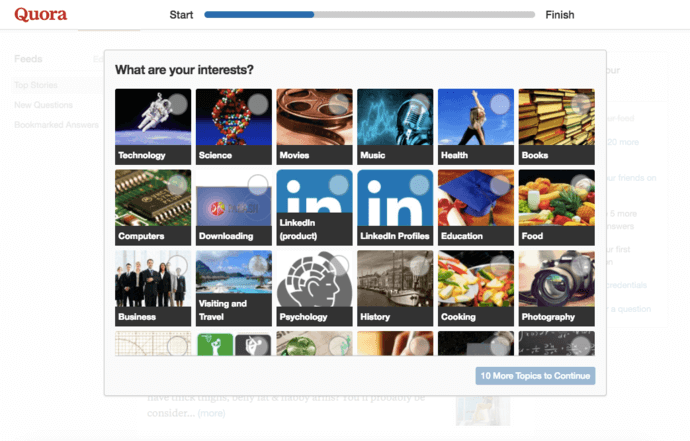 What content topics are the most popular? Make more content on those topics. Which pages have the best conversion rates? Direct more traffic to those pages. Your content marketing is also a source of information about your audience. Combining website tracking with marketing automation can take things to the next level. Marketing automation software can track email opens, link clicks, behavior on websites, replies/forwarding—and use those insights to automatically follow up with customers on what they care about most. Of all the affordable small business market research techniques on this list, data is the most actionable. Analytics let you go from insight to action almost instantly—and sometimes automatically. Even though people don’t always say quite what they mean, there’s no substitute for direct, one-on-one conversations with your audience. A market research interview allows free conversation that leads to deeper insights than survey or written answers. If you can get people to open up, you’ll be rewarded by detailed information about their pain points, struggles, and successes. The style of the interview is less important than getting interviews done. You can do phone interviews, in-person interviews, even email interviews—and still get actionable insights. The lessons you learn from talking to even 10 customers can change your business strategy, marketing, or client service. The ability to speak to customers using their own language is like a marketing superpower. Customer interviews are the way to do it. Entire businesses can be built on what your customers tell you. When you listen to your audience, you get to the heart of what they care about—and no amount of online market research or survey data can tell you that as precisely as they can. If your business grows, you’ll eventually want to consider the focus group, survey, statistical analysis, and market trends approach to market research. Those methods can reveal insights that are hard to find using more affordable market research techniques. If you need to understand market saturation, or build a picture of how your pricing compares to the competition, you’ll eventually need to use some of the more traditional forms of market research. But there’s value to doing market research before you have the budget for standard methods. Getting in touch with your customers’ needs can give you a huge edge as a small business. Not a lot of people do market research for small business like this. Most prefer to wait until they can hire someone to do it for them (or just ignore it entirely). Because of that, these types of affordable market research techniques are a huge competitive advantage—one that lets you get inside the heads of your customers and offer them exactly what they want to buy.